On Dec. 31, 2017, The Daily Progress published an editorial on the Jens Soering case titled "Doubt and complications on murder conviction." 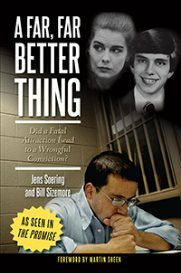 The Progress mentioned that, in an article published on Sept. 11, 2016, the president-elect of the American Academy of Forensic Sciences, Betty Layne DesPortes, questioned the accuracy of the serology and DNA findings that I, as Mr. Soering's attorney, presented in his petition for pardon. Readers should know that I brought Dr. Moses S. Schanfield of George Washington University and Dr. J. Thomas McClintock of Liberty University, both nationally renowned in their fields, into this case specifically to address the questions raised by Ms. DesPortes. Both Dr. Schanfield and Dr. McClintock are geneticists and operated their own laboratories before joining the academic community, whereas Ms. DesPortes is an attorney. In 2017, Dr. Schanfield and Dr. McClintock spent many hours reviewing the serology and DNA reports, as well as the Departments of Forensics file and the raw data from the contracting lab, BODE Technology. By her own admission to me, Ms. DesPortes did not have access to this material when she was interviewed in September 2016. Dr. Schanfield and Dr. McClintock presented their conclusions in written reports and at televised press conferences on Sept. 27 and Oct. 27, 2017. Both Dr. Schanfield and Dr. McClintock reached the same conclusion: The raw data, serology results and DNA test results in Mr. Soering's petition for pardon support their conclusions. The questions raised by Ms. DesPortes have been answered to their complete satisfaction. Dr. Schanfield and Dr. McClintock have concluded that, to a reasonable degree of scientific certainty, two men left their blood at the crime scene, one with type O blood and the other with type AB blood. BODE Technologies found an XY chromosome indicating that the two contributors were men while also concluding that the DNA tests eliminate Mr. Soering as a possible contributor of any of the blood. Based on the blood evidence, Dr. Schanfield and Dr. McClintock believe that there is no genetic material from the crime scene belonging to Mr. Soering, implying that he was not even present at the crime scene. The science proves that two other men were present at the scene. 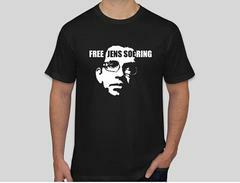 All of us share Mr. Soering's hope that incoming Gov. Ralph Northam will quickly grant him justice, based on the science and other compelling evidence.